IT PAYS TO KNOW: Obamacare – It’s Here!!! You are at:Home»English»Columnists»IT PAYS TO KNOW: Obamacare – It’s Here!!! Of course I do, those are all good things. I just didn’t want to figure it out. Even now (as this article is being “penned”), I still have hopes. The government is in a “shutdown.” House Republicans are demanding a halt, or at least a delay, in implementing Obamacare as a condition of allowing a vote on spending that would allow the government to reopen. “We aim to put a stop to Obamacare before it costs one more job or raises a family’s out-of-pocket expenses one more dollar,” said House Majority Leader Eric Cantor (R-Va.). “What’s he talking about?” you might ask. “How would Obamacare cost one more job?” It’s because Obamacare requires companies with 50 or more employees to cover full-time employees or pay a penalty (the “employer mandate”). “OK, but how would Obamacare raise a family’s out-of-pocket expenses one more dollar?” First of all, Obamacare requires that each and every American buy health insurance starting in 2014. Secondly, if you don’t buy health insurance, you’ll pay a tax penalty to Uncle Sam (the “individual mandate”). However, on June 28, 2012, the Supreme Court of the United States upheld the health insurance mandate as a valid tax, and thus within Congress’ tax-and-spend powers. So, ready or not, health care reform is the “law of the land” and is happening in a few short months. So, as a lawyer, I thought I better start figuring out what the law says. Let’s start at the beginning — why do we need health care reform in the first place? Back in 2009, when Obamacare was being debated, there were 49 million uninsured Americans. When they got sick or injured, e.g., a car accident or cancer, we all paid for their care in higher taxes and higher insurance premiums. Obamacare requires everyone to buy health insurance as of Jan. 1, 2014. The good news is that all health insurance plans must include certain “essential benefits,” such as no out-of-pocket cost for preventative care. This includes screenings for cancer, diabetes, and high cholesterol, an annual wellness check, as well as vaccines for the flu and pneumonia. In addition, insurance companies can’t deny someone for pre-existing conditions like a heart problem or diabetes, or put lifetime caps on benefits. Also, young people can stay on their parents’ insurance policies until they are 26 years of age. Obamacare doesn’t create health insurance, it regulates the health insurance industry and helps to increase quality, affordability and availability of private insurance. Starting in 2014, there will be four main ways to be covered. About 50% of us will get health insurance through our jobs, just like today. About 33% of us will get covered by the government through Medicare and Medicaid (California’s Medi-Cal). About 10% will buy health insurance by themselves. And, unfortunately, the remainder will still not have coverage at all. If you don’t have insurance, you may either: (1) buy a private insurance plan; (2) use the new Health Insurance Marketplace; or (3) pay a penalty. Open enrollment in the Health Insurance Marketplace started on Oct. 1, 2013. However, because lawmakers anticipate chaos and confusion, you actually have until March 31, 2014 to enroll. The “Marketplace” is like a virtual health insurance mega-mall. Here you find private insurers who are competing for your business. You’ll be able to pick out how much coverage you want, and how much you want to pay for it. From cheaper, high-deductible bronze plans to more expensive platinum plans. One big advantage of buying health insurance through these new marketplaces is that the federal government will provide most people with a tax credit to make insurance more affordable, if your income is below a certain level. In fact, most people buying on their own will be eligible for a tax credit and won’t have to pay the whole premium themselves. The cost of your marketplace health insurance works on a sliding scale. Those who make less pay less. Americans making less than $45,960 as individuals or $94,200 as a family of four may be eligible for premium tax credits through the marketplace. Tax credits subsidize insurance premium costs. It would be important to note that the marketplace is the only place to apply for subsidies. Since coverage may cost $4,000/year per adult, or $16,000/year per family of four, some of you might say, “Wait a minute. If I can’t be turned down or charged more, why not just wait ’til I get sick or injured to buy insurance at all?” That’s where the “individual mandate” comes in. If you don’t obtain coverage by Jan. 1, 2014 you must pay a per-month fee on your federal income tax return for every month you are without health insurance. The penalty for 2014 is up to $95 per adult and $47.50 per child, or 1 percent of family income, whichever is greater. (Washington Post, Sept. 30, 2013) The family maximum is $285. But by 2016 you could pay as much as $695 for each uninsured adult in your family. Or by 2016, you could pay as much as $2,085 for your family of four. Medicare isn’t part of the marketplace. There are some of the positive changes for those on Medicare. For example, Obamacare is attempting to close the “donut hole” on the Medicare Part D program. The new health care law will close the donut hole by 2020. Until then, seniors in the donut hole will get discounts on their prescription drugs. If you have questions about the Affordable Care Act or your coverage, I recommend calling Edward K. Kamiya, president of the Kamiya Insurance Agency in Torrance. Last month, Mr. Kamiya spoke at a seminar on Obamacare hosted by the Gardena Pioneer Project. He can be reached at (310) 781-2066. 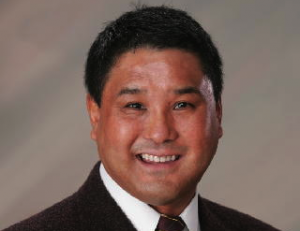 Judd Matsunaga, Esq., is the founding partner of the Law Offices of Matsunaga & Associates, specializing in Estate/Medi-Cal Planning, Probate, Personal Injury and Real Estate Law. With offices in Torrance, Hollywood, Sherman Oaks, Pasadena Fountain Valley, he can be reached at (800) 411-0546. Opinions expressed in this column are not necessarily those of The Rafu Shimpo.